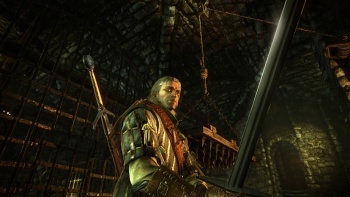 If you've been waiting to pick up The Witcher 2 on PC, the game's been severely discounted on Amazon. While getting an inexpensive copy of The Witcher is pretty easy to accomplish these days, discounts on The Witcher 2 are a little harder to come by. Normally, the game sells for $39.99, but Amazon's got it on sale today (provided you're willing to go with the digital download option) for $14.99. Now, the downloadable copy of the game will include digital versions of the various materials that came with physical copies of the game. That includes a "making of" digital DVD, digital soundtrack, digital papercraft dolls, as well as a digital worldmap and game guide. Physical copies of the game are still selling for $39.99, and Amazon is also taking pre-orders for the Xbox 360 version of the game, which is due out on April 17th and comes with a digital comic as a pre-order bonus.